Little Pipers at Scotch College is a welcoming community programme to support our youngest minds develop their love for learning. Little Pipers is a free series of activities designed by an early learning specialist for boys and girls from birth - 4 years. 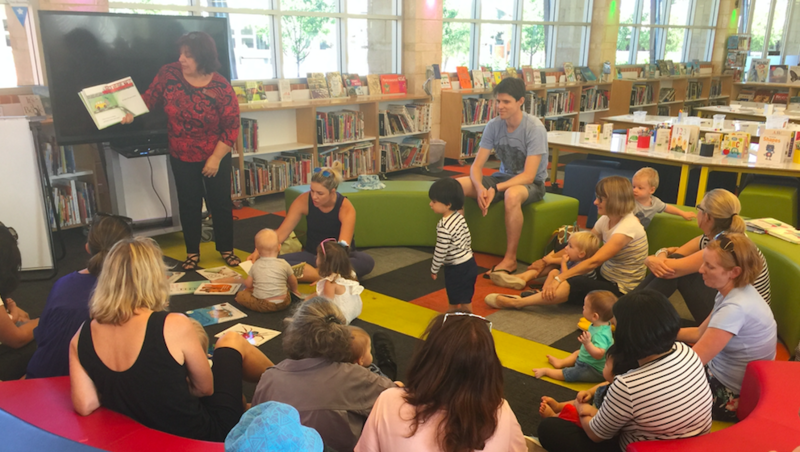 All Monday Loving Literacy sessions start at 9am and are located in our purpose built Junior Middle Library; they provide a chance for your youngest tots to interact and engage with stories and rhyme by participating in Baby Rhyme Time for 0-2 Year olds and Toddler Tales for 2-4 Year olds. We also offer the opportunity to borrow a book to share at home as a part of our Little Pipers Community. Little Pipers offers an introduction to the inquiry method of teaching and learning at Scotch College. Little Pipers is a fun and sociable programme for children and adults alike! Our Monday Loving Literacy sessions consiste of 30 mins of singing rhymes and reading stories, followed by a hands-on activity. Bookings are necessary for some sessions, please refer to the Scotch College Facebook https://www.facebook.com/littlepipers/ website to reserve your place, or view the term schedule. For all Monday sessions please meet our staff at the Early Learning Centre Carpark located at Stirling Road, Swanbourne at 8.45am to be escorted up to the Junior Middle Library. For further information, please contact Warwick Norman on or .